With proper care and attention, a quality leather gun belt can last for years. 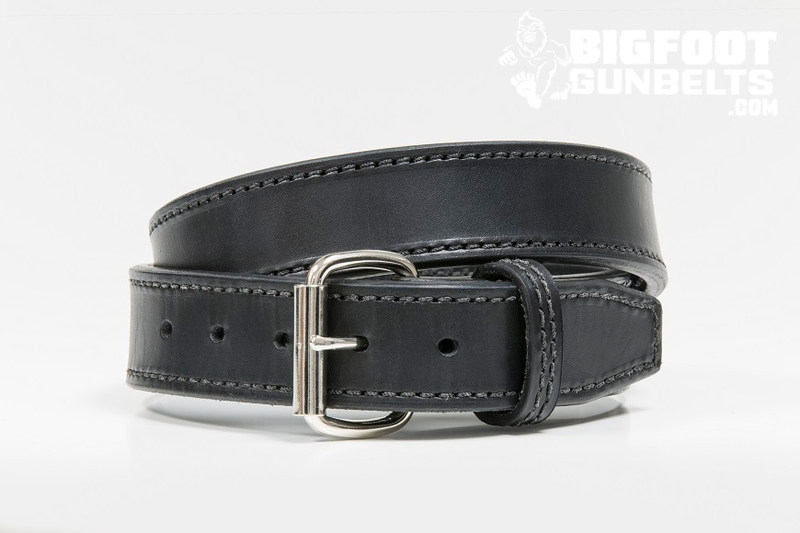 A quality leather gun belt is an essential part of any handgun shooter’s accessory arsenal. Not only does it keep your pants up and your holster secure, but it also adds a new dimension to your style. The best part about a leather gun belt is the fact that they can last for years and years with the proper type of care. Follow these steps to make sure that your leather gun belt stays in tip top shape, and looking good, for years to come. The next step in ensuring that your new leather gun belt stays in great condition is to take the time to condition it. Leather conditioner, which can also be used on other leather accessories like jackets and shoes, will contribute greatly to the lifespan of a leather gun belt when applied with regularity. It may be a bit of an inconvenience, but maintenance is a necessary step with any type of gear with belts included. Make sure to follow the instructions on the conditioner that you buy, but typically you apply a dime-sized amount of the product to a rag and work it into both sides of the belt. Once you are done applying it, a dry time of a couple hours can be expected. Do this once a month and your belt with stay supple and pliant for a good long time. One of the pitfalls of a leather gun belt is the tendency of the material to absorb sweat over time. This can lead to your belt having an unpleasant odor. To get rid of any smell, a complete cleaning of the belt is a good idea. You will want to use a mild soap and a soft brush and thoroughly scrub both sides of the belt. Finish by rinsing the soap off with warm water and allowing the belt to air dry in a hanging position. This type of cleaning is only necessary once in a great while, but is a good idea to help preserve the quality of the belt. Despite the use of water in the periodic cleaning process, it is typically a good idea to keep you belt out of the elements as much as possible. Sunlight, heat, and water are all natural enemies of a leather gun belt and should be avoided as much as possible. If you have a day at the range planned and the weather is looking wet or hot and dry, it might be a good idea to leave the leather belt behind and use a belt of a different material such as nylon. If your leather belt does get wet, or after you clean it, an application of some leather oil is a great idea. 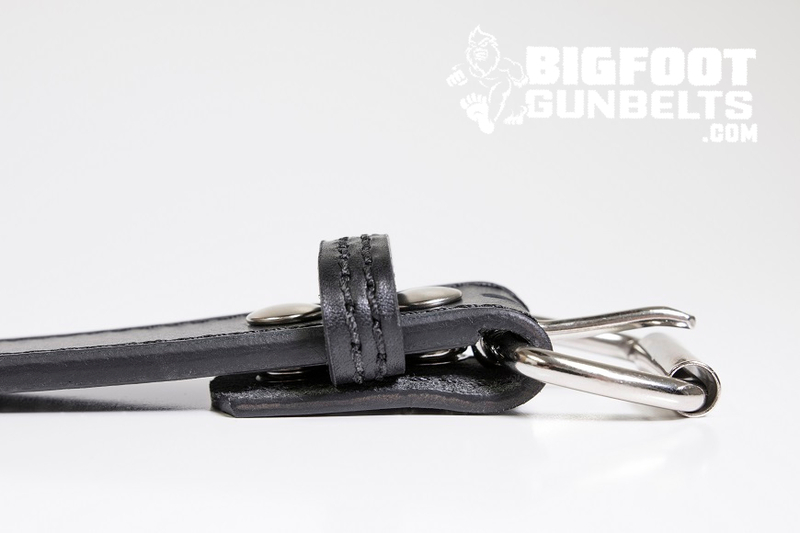 The way you store your leather gun belt can also affect the lifespan of the belt. Try to avoid draping the belt over a chair or stuffing it into a random drawer. The best way to store a leather belt is by hanging it lengthwise from a hook or hanger. This keeps it from warping or bending and also allows air to flow around the belt which both contribute towards a belt staying at a high quality. That also means that leaving it in your pants overnight is not a good idea. 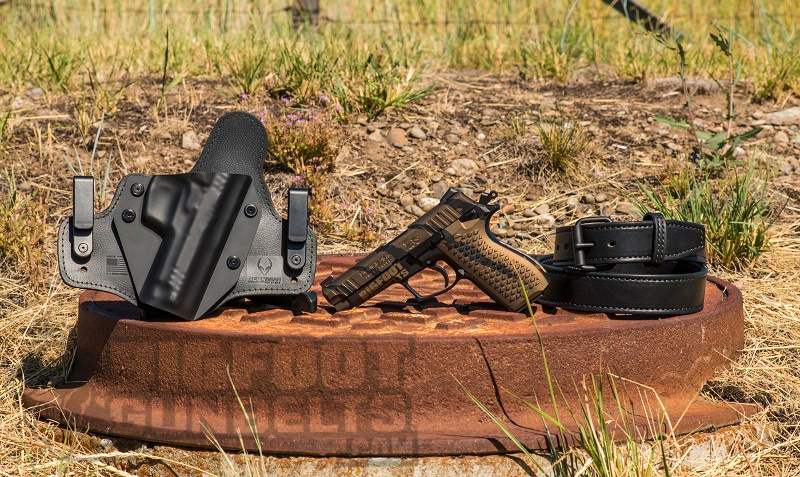 If you follow these tips and keep two or three leather gun belts in a rotation, you will always have a reliable, high-quality belt that will perform the way you expect it to during any circumstance.